kitchen is decorated in strawberry. look like good metal bowls. 25% off offer helped me decide. I've had a set of these exact bowls for 35 years and they've held up wonderfully, but they have faded as I've always put them in the dishwasher. 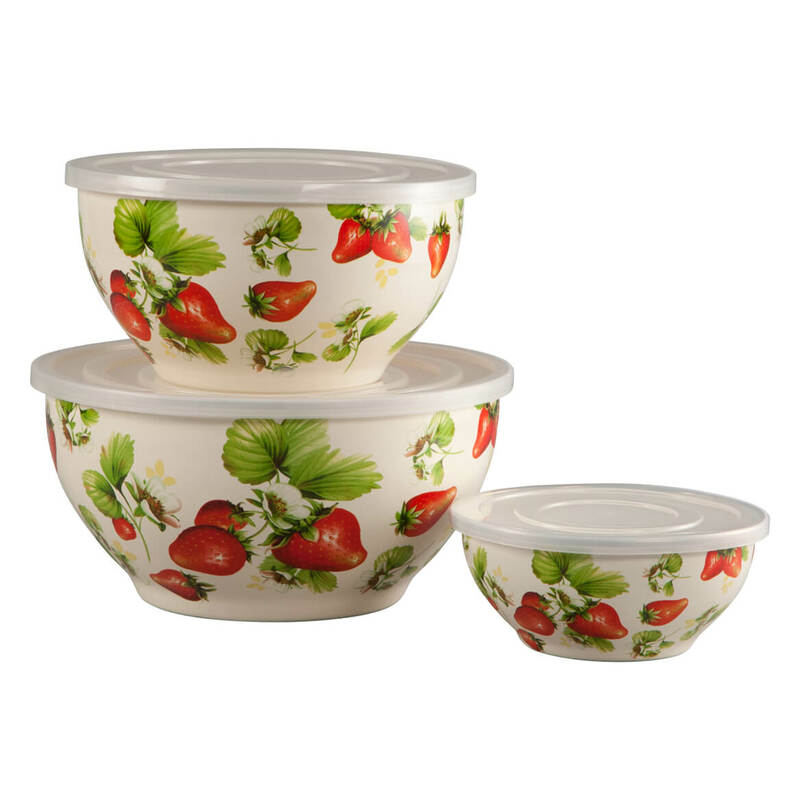 These bowls last longer than a lifetime. It matches my kitchen decor. 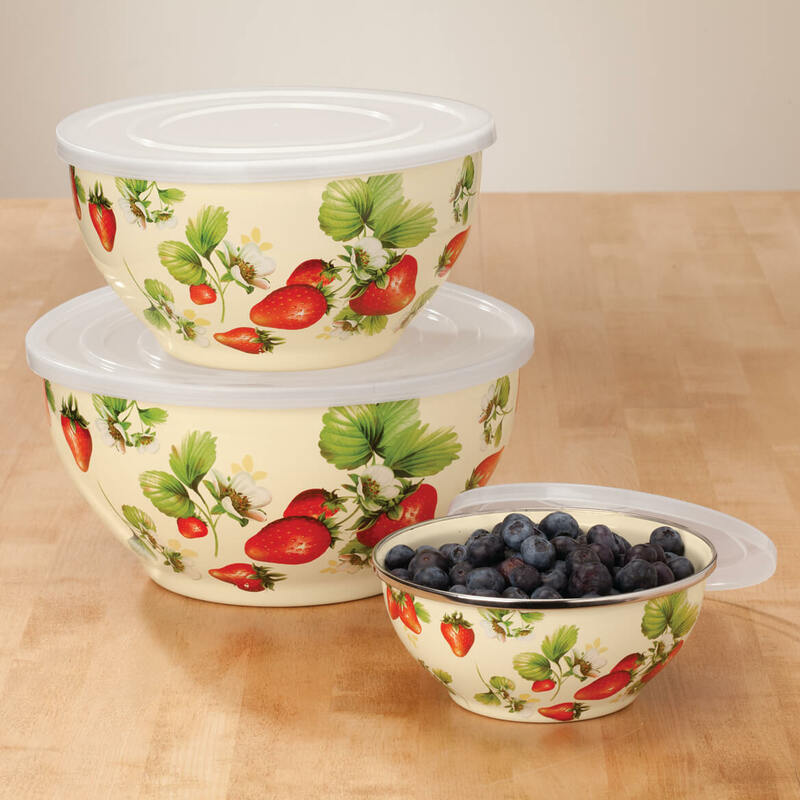 I am so tired of using plastic bowls,just hope these are what Im looking for.